Prince George's County legislative districts. A group of young Democratic challengers in their 20s and 30s has emerged in Prince George’s County to run for the House of Delegates in 2018 and take on incumbent Democrats. The challengers cite a need for fresh blood and new ideas in a delegation they say has gotten out of touch with the voters and ineffective at getting things done. Almost all of the young candidates running for delegate positions interviewed for this story, as well as many current and former legislators, got their start and encouragement to run in Young Democrats of Prince George’s County. Not surprisingly, veteran Prince George’s lawmakers do not see the same need for new blood. “We’ve been extremely effective, gotten a lot done,” said Del. Anne Healey, 66, in her seventh term and chair of the House Rules Committee. She cited the delegates work revitalizing Route 1 in her district. Melony Griffith, a 16-year House veteran running in 2018 for the state senate, said she thinks the younger people lack experience with the legislative process and how to build coalitions in Annapolis. She did point out that she and other members of the county delegation got their start as Young Democrats. Delegates Jazz Lewis, 28, and Erek Barron, 43, two District 24 first-term incumbents, said they will run proudly on their records of legislative accomplishment and let the voters decide who to vote for. Lewis, who works for U.S. Rep. Steny Hoyer, was appointed in February to fill the seat of Del. Michael Vaughn, who resigned after his federal indictment. District 24 is one of Maryland’s many oddly shaped legislative districts that includes Seat Pleasant and Capitol Heights and runs northeast toward Bowie. Its third incumbent is Del. Carolyn Howard, 78, who has served 30 years in the House. She has told people she is retiring, leaving an open seat that has attracted four new faces. Simpson is president of the Young Democrats of Prince George’s County that numbers more than 1,000 and is growing, he said. It is a grooming ground for young politicians in the county and has been around since the 1960s, fostering candidates like Hoyer who became the youngest Senate President in Maryland history in 1975 at the age of 36. Also running in District 24 are Sia Finoh, 40, who filed for the seat in March, and Marnitta King, 40, who filed in August. Simpson said he has as a goal getting a Young Democrats member running in every race in the county, including the County Council. He sees no reason why that isn’t possible. Williams thinks there is a need for the incumbent delegation to get off their duffs, and she is the person to do it. That goes for the national Democratic Party as well. “Your life experience is what makes you a good legislator later. Just because I’ve never served in Annapolis doesn’t mean I don’t have connections there,” Williams said. District 22 is currently represented by Healey, Tawanna Gaines and Alonzo Washington in the House and Sen. Paul Pinsky. Gaines and Washington did not respond to several requests for comment. Matt Dernoga, 28, a Young Dem running in District 21, said there is a lot of frustration with inaction in Annapolis about the Metro subway system deteriorating as the DC region is growing, as well as the number of aging school buildings in PG that need repair work. 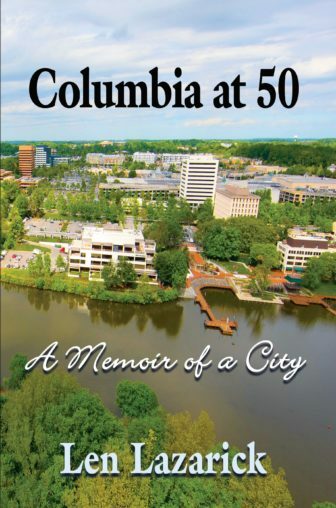 Dernoga is the son of former PG County Council member Tom Dernoga, and is a senior policy analyst for his father’s successor, County Council Member Mary Lehman. He was an environmental activist while a student at University of Maryland. “I know what it takes to get a bill across the finish line,” Dernoga said. 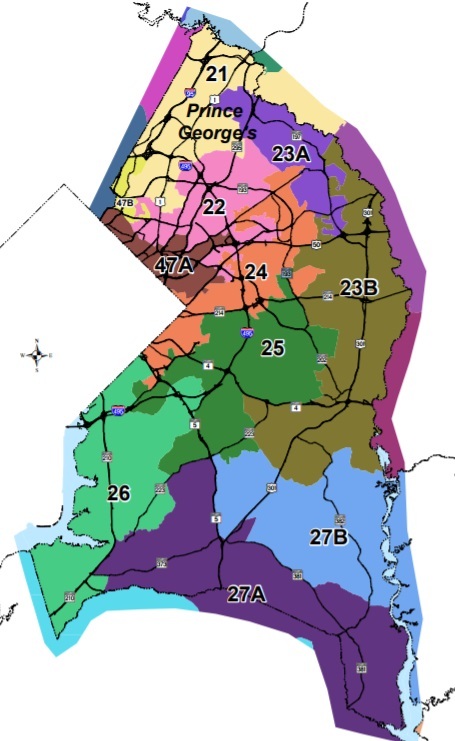 District 21 includes College Park and Laurel and is represented by Dels. Ben Barnes, Barbara Frush and Joseline Pena-Melnyk. Candidates interviewed for this story all said they expect more people to announce their candidacy, especially for the all-important Democratic primary. Prince George’s, Maryland’s second largest county, has 26 Democrats in the legislature and no Republicans . Former delegate Griffith has a different take on the newcomers based on her experience losing in 2014 to long-time incumbent Ulysses Currie. She is now running for state senate. Griffith also got her political career start with the Young Dems. The organization “is rich with talent in every age group regardless of age and ethnicity.” She encourages them to run for office, knows they have been looking for opportunities, and added she’d enjoy mentoring young candidates if elected. ”In the General Assembly sweeping change is rare; it tends to be incremental and deliberate,” she said. Current Delegates Jazz Lewis, Alonzo Washington and Erek Barron, part of the current House team, are all under age 40, Griffith added. Lewis and Barron, both first-term incumbents in District 24, said in interviews they are proud of their achievements from their debut sessions, and will run on those. Lewis beat out Simpson for nomination by the Democratic Central Committee earlier this year, but Simpson thinks he’s still better prepared for the current job than Lewis is. Lewis started his political career as a community organizer after being an activist while working his way through the Univ. of Maryland. He led a student group that regularly pressured the U. of Maryland administration for reforms they thought necessary. Lewis emphasized, “I’m not worried about (the 2018 election); I’m focused on the work I’m doing,” helping “regular people.” Lewis cited particularly his work helping to get dedicated funding to reform the DC region’s Metro system. In a Facebook posting Monday, former delegate Aisha Braveboy, who is running for state’s attorney, said, “I am really excited and encouraged by all of the millennials stepping up to run for office in Prince George’s County. Your desire to serve and the skills that you [have] are admirable.